Saxophonist David Murray has lavished much in the duets with piano, format that seems to feel very comfortable. In his discography can find several memorable albums with Dave Burrell or Aki Takase and, more specifically, with Mal Waldron , Randy Weston , Georges or Arvanitas Donald Fox. Interestingly, one of the pianists who have worked most with Murray, John Hicks , is the host of the saxophonist in this Sketches Of Tokyo. Both musicians had recorded together in Morning Song, an album of published by David Murray Black Saint little earlier. Since that time, Hicks was the regular pianist quartets Murray for years and together produced more a dozen great albums for different labels. 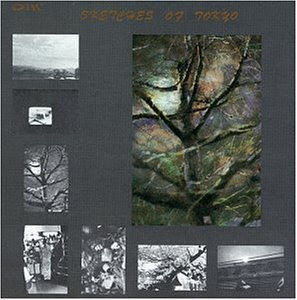 Sketches Of Tokyo is one of the best duos ever recorded Murray. Both tools are seen perfectly from the start, reaching moments of real beauty. Listening, one gets the feeling that life are playing together. The album opens with "Epistrophy" a piano solo and continues with a pair of originals, an extensive reinterpretation of "Naima" and the most prominent theme of the album: a beautiful rendition of "God Bless The Child." only thing wrong with Sketches Of Tokyo is that there was a sequel. Fortunately, we have a few recordings and Murray Hicks a quartet.